Today, we will look at 1 Timothy 2. Some day soon, we will consider 1 Timothy 4. In truth, these chapters should not be read separately. They inform one another and reveal a unified vision of salvation. Yet, for sake of time, with open Bibles, we will address one and then the other. Proof-texting is the theological practice of making a doctrinal proposition on the basis of one or more verses. Any theologian faithful to Scripture can and must proof-text. However, there is an inherent danger whenever we cite a text and fail to consider the literary context of the verse. This is axiomatically true, but especially with verses that speak of universal truths. When we take a universal word like “all” or “every” and dislocate it from its original context, we easily distort its original scope. Let me illustrate. A number of years ago I read a pamphlet supporting homosexuality from the Bible. As one proof-text, it quoted Romans 8:32: “He who did not spare his own Son but gave him up for us all, how will he not also with him graciously give us all things?” The pamphlet suggested that because God did not spare his son, he also did not withhold homosexuality to those who desired such things—because they asserted homosexuality is included in “all things.” Never mind the context of Romans (esp. 1:26–28), the dislocated “all” was used in an entirely new way because it did not conform to the original passage. Such an illustration shows how far the meaning of universals can go when removed from their original context. And thus, we need to pay careful to how Paul uses the word “all” in 1 Timothy 2. In these 7 verses, Paul uses the word pas (“all” or “every”) six times including his opening words, “First of all.” Most important for our consideration are the four places, he speaks of “all people” or “all” where people are implied. (vv. 1, 2, 4, 6). Again, a first reading of “all people” can certainly be understood to mean all people without exception, especially if we are prone to think individualistically—as Western Christians are! Yet, in context we have multiple reasons for seeing “all people” as meaning all kinds of people—all people without distinction, not all people without exception. The first reason for this conclusion comes from an inductive reading of verse 1. Paul tells Timothy to pray for all people. Our first clue that “all” does not mean “every” is that it is impossible to pray for every individual in the world or even in the city of Ephesus—where Timothy is commanded to stay by Paul (1:3). Rather, as verse 2 confirms through an appositional statement “for kings and all who are in high positions,” Paul wants Timothy and the Christians in Ephesus to pray for all kinds of people—even those whom they would not expect. Under the old covenant, we find passages like Psalm 16:4, “The sorrows of those who run after another god shall multiply; their drink offerings of blood I will not pour out or take their names on my lips.” In this case, David will not even profane his lips with the names of the ungodly. Such a sentiment could easily carry over to the Christians in Paul’s day—especially, those who are misreading the Old Testament (cf. 1 Timothy 3:3–11). Yet, correcting this view of prayer; Paul says to pray for all kinds of people—even the unbelieving rulers of your day, that it may go well for you and the people of God. Thus, Paul’s words in 1 Timothy 2:1–2 indicate the scope of prayer is larger than that of Old Testament Israel. Christians can now pray for anyone and everyone, regardless of their covenantal status. In context, however, Paul is making is not speaking about all without exception, but all without distinction—even distinctions formalized by the old covenant. Next, in verses 3–4 we find the same idea. Paul says God is savior (v. 3) and that he “desires all people to be saved and to come to the knowledge of the truth” (v. 4). There is good reason to believe God desires salvation for all persons without exception. Ezekiel 18:23, 32 says Yahweh does not delight in the death of the wicked. He grieves over the sin of his creation (cf. Gen. 6:6; 1 Samuel 15:11). Yet, this is not the only thing Scripture says on this point. Eternal judgment is a very real threat in the Bible, and one created by God to bring judgment upon fallen angels and those who reject God (Matthew 25:41). Deuteronomy 28:63 also speaks of the delight God has in exercising his judgment on those who break his covenant and refuse to return to him. Truly, as the Lord of heaven and earth, God brings salvation and judgment to the earth as he pleases (Psalm 115:3; 135:6), and no one can thwart his plans (Job 42:2; Daniel 4:34–35). Biblically and theologically, we cannot say, God’s desire to save all people in 1 Timothy 2:4 is just a wish or a desire that goes unmet. Throughout the Old Testament, and seen most clearly in the Exodus, God proved that his power to save is unstoppable. Those whom he desires to save will be saved. While Israel constantly responded to his saving actions with unbelief, this speaks of the weakness of the old covenant, not God’s saving purposes. Every time God intended to save his people, he accomplished his will. The power of God displayed throughout Scripture informs the way we should read 1 Timothy 2:3–4, but so does the surrounding context. If God desired to save every person without exception, it would either result in humanity’s universal salvation (i.e., universalism) or God’s eternal disappointment (God wanted to save millions but could not). Based on the rest of Scripture, neither option is theologically possible. But it is not just theology that informs our reading, so does the context. In context, there are at least seven reasons for seeing the scope of “all people” in verses 4 and 6 as being “all kinds of people” and not every person without exception. First, as seen already, the way Paul speaks of prayer for all kinds of people suggests “all people” in verses 4­–6 does not include every single individual. Similarly, the scope of God’s desire for salvation and Christ’s ransom is for all kinds of people. Second, verse 4 speaks of a new covenant reality not present in the Old Testament. Whereas God saved Israel from Egypt, most did not come to a knowledge of truth. They did not unite God’s promises with faith (Heb. 4:2). As Jeremiah 31:31–34 makes clear, those who broke the first covenant did not know the Lord; but those in the new covenant will all know the Lord. All those whom the Lord saves will come to a knowledge of the truth; none will be lost. And this covenantal reality is disclosed in the tight relationship between salvation and a knowledge of the truth. In general, we can say there is one God, and by consequence understand that God is over Jew and Gentile together. But such a general theological belief, if held without Scriptural inquiry misses how radical an idea this was for first-century Christians—especially, those from the nation of Israel. For Paul, a Hebrew of Hebrews, to say there is one God for all people means there is one God for Jews and Gentiles. In fact, Paul goes so far as to define the church against Israel and the Gentiles in 1 Corinthians 10:32 (“Give no offense to Jews or to Greeks or to the church of God”). In many of his other letters too (e.g., Galatians, Ephesians, Colossians, etc. ), he is having to explain the relationship of Jew and Greek, law and gospel, flesh and the Spirit. In Romans again, this new covenant logic works its way through the whole book. In Romans 3:23, Paul says famously “all have sinned and fall short of God’s glory.” So often quoted by itself, we miss the ethnic implications of this verse. But in the context of Romans 1–3, Paul’s “all” means Jews and Gentiles; those with the law and those without the law are both sinners before God. Likewise, Romans 11:32 says, “For God has consigned all to disobedience, that he may have mercy on all.” This is another verse often used to defend universalism. But in context, this verse speaks of Jews and Gentiles in redemptive history. As Romans 11 explains, both Jews and Gentiles have sinned against God, and now he has made a way of mercy for Jews and Gentiles through the one gospel of Jesus Christ. This is the logic at work in 1 Timothy too—the one God of all is God of Jews and Gentiles. Fourth, confirming this reading of “all people” (v. 4) and “all” (v. 6) as Jew and Gentile is the explicit mention of Gentiles in verse 7. Paul identifies himself as a herald, apostle, and teacher of the Gentiles. Shockingly, he must add “I am telling the truth, I am not lying.” Writing to Timothy, his true child in the faith (1:2), Paul should not have to defend his veracity, unless there is pushback present in the Ephesian church against Christ’s blessings going to the Gentiles. Yet, knowing the background of Ephesus (found in Acts 19, Ephesians 2, not to mention 1 Timothy), we see why Paul must make his case for the inclusion of the Gentiles. As the context of 1 Timothy reveals, the church in Ephesus was being led astray by false teachers who misunderstood the Law (1 Timothy 1:3–7). Therefore, Paul must emphasize the place of Gentiles in the new covenant community made up of believers, whether Jew or Greek. Just as Paul explained theologically the unity of Jews and Gentiles in 1 Timothy 2, now he must speak practically about their unity for the purpose of prayer and worship in the household of God (1 Timothy 2–3). So from all these context clues, we learn that the scope of “all people” in 1 Timothy 2 is not all people without exception, but all people without distinction. The one mediator between God and men is Jesus Christ. And the “men” in verse 6 is the new covenant community composed of believing Jews and Greeks. This is the point Paul will make in 1 Timothy 4:10, but we will save for later. Sixth, furthering this line of thought is Pau’s description of the testimony given at the “proper time” (kairos). Kairos carries with it the idea of “proper time in redemptive history.” As Paul will describe in 1 Timothy 3:9, 16, there is a “mystery” revealed in Christ. Whereas the people of Israel heard promises of a coming messiah; the church made up of Jews and Greeks has received the full revelation of God in and through the testimony about Christ. Paul is an apostle of Christ (1:1) sent to the Gentiles (2:7), just as the other apostles were sent to the Jews (cf. Galatians 2:1–10). In this way, we can see how Paul’s understanding of time declares that there is one message of salvation for Jew and Greek alike. While the Jews heard the news first (Rom 1:16; Eph 1:13–14); the Gentiles received the same message and the same church-unifying Spirit. Yet, because of ingrained habits of thought and practice, the idea of worshiping with Gentiles needed greater explanation. The whole New Testament is composed of universal language extending the blessings of Christ, Israel’s messiah, to the Gentiles. But situated two millennia after the coming of Christ, Western individualists who have had little exposure to the stricture of Judaism have a difficulty understanding Paul’s original meaning. Instead, we are inclined to read the “alls” of Paul as speaking of universal atonement. Yet, in historical context and from literary clues, we can see that the “alls” in 1 Timothy 2 do not lead to universal atonement. Rather, they speak of the enlargement of Abraham’s tent because of the one ransom given by Christ. Seventh, therefore, just as Isaiah promised, the Suffering Servant would not die for Israel alone—that would be too light a thing (49:6–7). He would die for his new covenant people—those from Israel and those from the nations. The defining factor for new covenant salvation was never Jewish nationalism or a covenant made in the flesh. It was always faith in the atoning sacrifice of the Servant, a gift granted by God because of the completed work of Christ (cf. 1 Timothy 2:12). When this ransom occurred then, an elect remnant of Israel was ransomed. But very soon, as Acts reports, the Gentiles were added to the number. In Ephesus itself, there were even Gentiles who came to faith first, the Jews received the Spirit after some of the Gentiles did. All of this explains the challenges present in the Ephesian church with respect to the Law. Paul, in focusing on this mixed community of Jew and Gentile, is doing all he can to show how they are now one in Christ. The new covenant is not a mixed community spiritually (as Israel was); the church is a mixed community ethnically—a people of one Spirit, and one gospel, and one baptism from all the nations. To this challenge, Paul uses universal language to unify a diverse people in the one ransom made by Christ. On the surface, universal atonement seems to look like the better theology for producing a loving church. But actually, it does the opposite. Because the world is stratified by all kinds social barriers, the gospel must necessarily tear down walls and rebuild a community of faith. In Paul’s first letter to the Ephesians, he explains how this works. 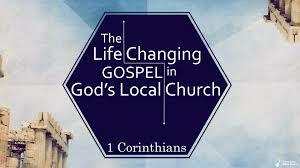 But not in 1 Timothy, Paul is reinforcing the gospel which saves Jew and Gentile, and creates one new man in Christ. Indeed, his language is not one of universal individualism or God’s undifferentiated love. Rather, his universal language speaks against the divisions extant in the Ephesian church. To those (Jews) who would exalt themselves over others, Paul is saying, Christ died for all kinds of people. Theologically, his words are meant to tear down the walls created by churches who define themselves by anything other than the completed work of Christ. In this way, he shows that saving grace is offered to all kind of people. And that the body of Christ will be composed of every nation, class, education, and socio-economic standing. Truly, this is the way Paul often speaks (see Galatians 3; Colossians 3) and it is the basis on which he makes a universal offer of the gospel. He says that the one God has made one way of salvation through the one man Jesus Christ, and that all people whatever their background are invited to come and find salvation in him. No longer does God’s law divide God’s people from the nations. The nations are now invited to come and dwell in the house of God by faith in Christ. In this way, Paul’s words in 1 Timothy 2 are written for the purpose of evangelism and ecclesiology. Yet, rightly understood they do not make the offer based upon a universal atonement. The universal offer is instead based upon sure promise of the gospel, planned out by God before the foundation of the world. Indeed, the effectiveness of the universal offer is grounded in the definite atonement of Christ that matches both the plan of God before the foundation of the world and the gift of the Spirit that has now come through the finished work of Christ. Unfortunately, in the name of making the gospel universal, those who hold to universal atonement dilute the power of the cross. Jesus did not die to make salvation possible. His death accomplished something!. As the strong subject of 1 Timothy 2:6, Jesus “ransomed” a people for himself. And as Psalm 49 indicates, it is his successful mission in ransoming his people who distinguishes Jesus from other would-be redeemers. Jesus is not just a man who died for other men; he is the God who died for the people whom the Father gave the Son before the foundation of the world. Indeed, men may die for other men and fail to ransom them. But because Jesus is God, it is impossible for him to fail. Because the son of God died on the cross, his work is wholly effective. And thus, we learn that good news of 1 Timothy 2 is not that Christ as a man died in hopes that others would be ransomed. Rather, as the God who became man, the Son of God Incarnate successfully ransomed his people. And praise be to God, as the universal language of 1 Timothy 2 indicates, this people is composed of Jews and Gentiles, rulers and wretches, men and women from every tongue, tribe, people, and nation. This is the good news of the gospel. And it perfectly balances God’s particular and universal purposes. It wonderfully humbles the proud and exalts the humble. It both honors the promises of God to Israel and it extends them to all people, who trust in the King of Israel. Truly, when a people are joined by this good news, it awes them with the power of God and it redefines them by the work Christ has done and not by anything in the flesh. This why getting definite atonement matters—not to win a debate among Christians, but to see the power of the cross and the perfections of God. This is what unifies the redeemed of the Lord and eviscerates natural-born divisions in the flesh. May God be pleased to amplify the power of the cross with its manifold effects for evangelism and church strength.